If you have excellent credit, you can parlay that into a myriad of benefits and conveniences with the Citi Simplicity® Card - No Late Fees Ever, the most important benefit of which is a lengthy 0 percent APR offer on purchases and balance transfers. Citi Simplicity® Card - No Late Fees Ever has no annual fee, nor will it charge you a penalty fee if you pay a bill late. In addition, it has a 12-month (from account opening) introductory 0 percent APR for purchases and 21-month (from date of first transfer) on balance transfers. This is among the longest such offers on the market that covers both purchases and balance transfers. The introductory offer has three caveats: Qualifying balance transfers must be made within four months of opening your account. This four-month window is actually longer than most other cards, which often require you to make your transfers within 60 days in order to take advantage of an introductory balance transfer period. In addition, while there is a 0 percent APR for 21 months on those balance transfers, there is a balance transfer fee of 5% of each balance transfer; $5 minimum. Additionally, if you transfer a balance with this offer after your 0% intro purchase APR expires, both new purchases and unpaid purchase balances will automatically accrue interest until all balances, including your transferred balance, are paid in full. Still, if you have a hefty balance hanging out on a high-interest credit card, even with the balance transfer fee you could stand to save a substantial amount of money as you pay that balance off over the course of 21 months interest-free. Once the Citi Simplicity® Card - No Late Fees Ever 12-month introductory rate on purchases or 21-month introductory rate on balance transfers expires, a 16.24% - 26.24%* variable, based on creditworthiness, APR goes into effect. An additional benefit associated with transferring large, existing credit card balances to your Citi Simplicity® Card - No Late Fees Ever account is the absence of late fees and penalty rates. This provides you with flexibility when it comes to paying down a significant credit card balance. It also eliminates an expensive punishment if you happen to forget to make a payment or make a mistake with a payment. 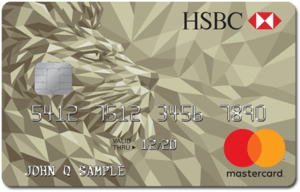 The Citi Simplicity® Card - No Late Fees Ever doesn't come with the glitz and sizzle of rewards credit cards – as the name suggests, the card is simple and straightforward. But don't let that dissuade you. If a 0 percent intro period and no fees card is what you need in your wallet, it's tough to beat this option. 0% intro APR on purchases for 12 months after account opening and 21 months on balance transfers from date of first transfer (all transfers must be completed in first 4 months.) After that, 16.24% - 26.24%* variable, based on creditworthiness. A great card if you're looking to consolidate and get rid of existing debt without incurring high interest, or planning to make a big purchase you can take your time paying off. Our 2018 Editor's Choice pick for Best 0 Percent APR Credit Card. 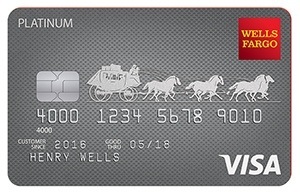 This card is exclusively for those at the higher end of the credit score spectrum. There is a great deal to like about the Citi Simplicity® Card - No Late Fees Ever. In fact, it's is our 2018 Editor's Choice pick for Best 0 Percent APR Credit Card. Citi Simplicity® Card - No Late Fees Ever offers a straightforward, easy-to-understand package of benefits, well-suited for consumers not caught up in the bells and whistles of cash back and rewards cards. It's a consumer-friendly card aimed at keeping out-of-pocket expenses at a minimum. There is no annual fee, ever, and there are no fees or punitive rate hikes for late payments, ever. Beyond the financial benefits, Citi Simplicity® Card - No Late Fees Ever offers convenience, starting with fast, personal 24-hour customer service; just say "representative" to get help promptly. You also have the option of setting up your own bill payment schedule on any available due date throughout the month. That can be huge when setting up your monthly household budget. The Citi Simplicity® Card - No Late Fees Ever's 12-month (after account opening) introductory rate 0 percent offer on purchases and 21-month (from first balance transfer) 0 percent introductory rate on balance transfers is highly appealing but, as with all introductory offers, it is temporary. And while there are no penalties associated with late payments, those late payments can (and eventually will) affect your credit score, which can, in turn impact your APR on this card or make it more difficult for you to secure another loan or credit card. The Citi Simplicity® Card - No Late Fees Ever is not a rewards card; rather, your reward should be viewed as the money you can save through that intro period. Additionally, if you aren't someone who gets excited about credit cards but likes to keep one in rotation for the sake of diversifying your credit profile, this is a good option for you given the lack of annual fee and penalty fees. Citi® Diamond Preferred® Card - 21 Month Balance Transfer OfferCiti® Diamond Preferred® Card - 21 Month Balance Transfer Offer (This card is not currently available on CardRatings) has a few more bells and whistles than its simpler sister card, Citi Simplicity® Card - No Late Fees Ever. The Citi® Diamond Preferred® Card - 21 Month Balance Transfer Offer offers a personal concierge line, access to discounts and special cardholder experiences, and shopping and travel protections. The Citi® Diamond Preferred® Card - 21 Month Balance Transfer Offer also offers a long introductory 0 percent APR of 21 months on balance transfers made within the first four months of card membership, and similarly, the 0 percent introductory period is just 12 months on purchases. With Citi Simplicity® Card - No Late Fees Ever, the 0 percent introductory rate is also good for 12 months from account opening on purchases and 21 months from date of first transfer on balance transfers.After the introductory period, the Citi® Diamond Preferred® Card - 21 Month Balance Transfer Offer rate jumps to 14.99% - 24.99%* Variable, based on creditworthiness. The Citi® Diamond Preferred® Card - 21 Month Balance Transfer Offer also charges a balance transfer fee of 5% of each balance transfer; $5 minimum. If you like to keep your credit cards simple and don't need fancy rewards programs, the Citi Simplicity® Card - No Late Fees Ever is right up your alley. If you are carrying large balances on multiple credit cards and are drowning in interest payments, the Citi Simplicity® Card - No Late Fees Everis an excellent way to consolidate debt and give yourself a 12-month (from account opening) respite from high interest charges on purchases and 21-month (from date of first transfer) reprieve on interest for balance transfers--all transfers must be made in the first four months. Just be sure to make a plan to pay off that balance before the intro period ends to really make this card work for you.